Christmas is coming and even in this super-technological world, some of us still like to curl up with a good book. If you are such a person or if someone like that is on your Christmas list, you might be interested in one of the following books. Cerulean Blues: A Personal Search for a Vanishing Songbird by Katie Fallon tells you everything you might want to know about cerulean warblers as she follows researchers at the Lewis Wetzel Wildlife Management Area in West Virginia’s northern panhandle and the Royal Blue Wildlife Management Area a few miles south of the Cumberland Gap in Tennessee’s Cumberland Mountains. Both areas are thought to be in prime cerulean warbler habitat, which researchers say stretches from southwest Pennsylvania through all of West Virginia and into eastern Kentucky and Tennessee. Along the way, Fallon profiles the prominent senior cerulean warbler researchers — Paul B. Hamel and Petra Wood — as well as the graduate students and others who search for cerulean warbler nests during late spring and early summer. She spends days in the field with them and days in the library researching the history of the cerulean warbler beginning with the early bird artists Alexander Wilson and John James Audubon. Wilson, known as “the father of American ornithology,” was a Scots man who immigrated to Philadelphia. In his Volume II of American Ornithology, he calls the cerulean warbler “one of our scarce birds in Pennsylvania,” but he saw it “on the borders of streams and marshes, among the branches of the poplar” in the Philadelphia area early in the nineteenth century. Fallon also discusses the threats to cerulean warblers on their breeding and wintering grounds — mountaintop removal coal mining and habitat fragmentation in their core breeding areas and sun coffee agriculture and logging in their wintering habitat in the Andes Mountains of Colombia, Venezuela, Ecuador, Peru, and maybe even as far south as Bolivia. She even travels to Colombia to attend the Cerulean Warbler Summit and visits the Cerulean Warbler Reserve — a 500-acre forest created through a partnership between ProAves and the American Bird Conservancy in 2005. This was the first reserve in South America created for a bird that breeds in North America. Because Fallon is a creative writing teacher, her book is lively, and she records numerous adventures both here and abroad. Black and white photos of habitat and people are sprinkled throughout the book such as one of boys dressed as warblers in San Vicente, Colombia, as part of a parade celebrating ProAve’s Fifth Annual Migratory Birds Festival. ProAves, which means “for the birds,” is a nonprofit Colombian organization formed in 1998 “to protect birds and their habitats in Colombia through research, conservation action and community outreach.” Fallon also includes dismal photos of the remains of what used to be Kayford Mountain in southwestern West Virginia, and, of course, a photo of the beguiling bird itself perched on the finger of a West Virginia researcher. Here in Pennsylvania many folks feel the same way about Marcellus shale gas drilling. That brings me to my second book The End of Country: Dispatches from the Frack Zone by Seamus McGraw, a 51-year-old journalist whose mother contacts him and his sister about whether or not she should sell gas-drilling rights on her property near Dimock, Pennsylvania in Ellsworth Hill. McGraw sets out to discover all he can about the natural gas rush in the commonwealth. As he said in a later interview, “the risks are real and profound and cannot be minimized,” but he also thinks that there are real benefits to those who strike it rich and to our greater society looking for a clean energy future. Unfortunately, the extraction of natural gas is neither clean nor quiet as neighbors discover. And in Dimock, at least, some wells are polluted with methane due to improper drilling by one company. But, on the other hand, at least one person, Ken Ely, strikes it rich. McGraw has written a book that satisfies neither the gas industry nor the conservationists opposed to gas drilling. Mostly, it is about how the drilling affects individual lives, namely Ken Ely and his neighbor Victoria Switzer. Ely sells off his gas rights, figuring he’ll never see another penny. To his amazement, the Ely well produces so much natural gas that he is a millionaire overnight. And that’s only the beginning. Perhaps Tom Brokaw best summed up the book when he wrote, “The End of Country is an elegantly written and unsettling account of what can happen when big energy companies come calling in rural America. This cautionary tale should be required reading for all those tempted by the calling cards of easy money and precarious peace of mind. The result too often is bitter feuds, broken dreams, a shattered landscape.” I can testify from friends living in fracking land that it does mean “the end of country” and all that might imply. But, needing the money and assured by the gas company that the risks are minimal, like many of her rural neighbors, McGraw’s mother signs over her rights for $2500 an acre, far more than many of her neighbors received who took offers as low as $25.00 an acre earlier. And Ken Ely? You’ll have to read the shocking (to me) ending to find out. Among the Ancients: Adventures in the Eastern Old-Growth Forests by Joan Maloof is a book I wish I had written. Imagine visiting old-growth forests from Alabama to Maine and New Jersey to Michigan — twenty-six forests in all — in each state east of the Mississippi River. Actually, I was surprised at how many we have visited — the Sipsey Wilderness in Alabama’s William B. Bankhead National Forest, the Joyce Kilmer Memorial Forest in North Carolina, West Virginia’s Cathedral State Park, Michigan’s Porcupine Mountains Wilderness State Park, and Pennsylvania’s Cook Forest State Park. Some are more impressive than others. Maloof is especially disappointed by Mississippi’s Bienville Pines Scenic Area in the Bienville National Forest, “a forest gone missing,” she calls it after a fruitless search for what was described on the Internet as a scenic area of 180 acres containing “the largest known block of old growth pine timber in Mississippi.” The advertised trail is gone and no local person knows anything about it. When she finds it she sees that it has been logged, a ‘mechanical reduction’ to lower the risk of fire near a populated area that is “standard forestry practice.” Mississippi does not look good in Maloof’s account and neither does the National Forest Service or forestry practices in general. But Maloof has a list she calls “Other Forests of Interest” at the back of her book, and the alternate for Mississippi — Sky Lake Wildlife Management Area–is an excellent remnant of old-growth forest according to our son Mark who has lived in Mississippi for several years and just finished writing a book on the natural places of the delta area of the state. Sky Lake WMA, in the Mississippi Delta, has a board walk through old-growth bald cypress forest and is heavily promoted and visited by local people proud of it, unlike the citizens near Bienville Pines Scenic Area who are either unaware or scared of the place. Incidentally, Maloof’s other choice in Pennsylvania is Snyder-Middleswarth Natural Area. Along with a map, travel directions, and a photo, each chapter also has fascinating natural and human history material, for instance, on wildflowers and beetles, butterflies and crabwood, bluebead lily, Lucy Braun, nesting hawks, the Bealls, Henry Ford, tulip poplar trees, Bob Leverett, and, in Pennsylvania, the family Cook. People, she stresses, have saved these forests. 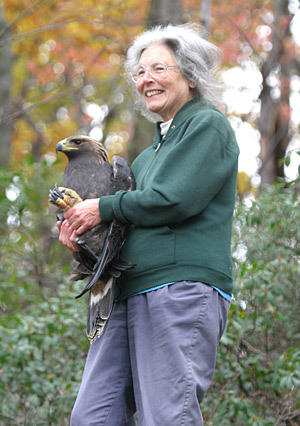 Many have been private landowners and others, such as Lucy Braun and Bob Leverett, have studied and promoted old-growth. She concludes by naming her top four old-growth forests — the Porcupine Mountains, the Sipsey Wilderness, Congaree National Park in South Carolina, and our own Cook Forest. “These are the places I keep urging others to visit so they, too, will see and understand what our land aspires to be, and what it can perhaps be again in more places, given enough time.” Maloof, a professor biology and environmental studies, is well-qualified to write such an eloquent, opinionated, and convincing book about the worth and beauty of old-growth forests. At last, we come to the ideal book for the nature nerd on your list: The Forest Unseen: A Year’s Watch in Nature by David George Haskell. He too, is a biology professor who chooses to sit for hours at a time observing one square meter of old-growth Tennessee forest on the Cumberland Plateau. He calls it his “mandala” which he explains is “a re-creation of the path of life, the cosmos, and the enlightenment of Buddha. The whole universe is seen through this small circle of sand,” a mandala he saw that was created with sand by two Tibetan monks on his campus. But he sits on a flat slab of sandstone on a forested slope in steep, rock-strewn terrain that kept the loggers away. There he sits through the four seasons many times a week and covers a vast number of subjects in great detail such as how deer digest their food, the lives of Plethodon lungless salamanders, the biology of ticks, the reproduction or rattlesnake ferns, medicine from nature, sharp-shinned hawk, in summary, something for everyone who has an interest in some aspect of the eastern forest. Finally, maybe the most controversial point he makes as an ecologist has to do with white-tailed deer. “Most of the scientific studies of eastern North America forest ecology in the twentieth century were conducted in an abnormally unbrowsed forest…’Overbrowsing’ by deer may be returning the forest to its more usual sparse, open condition,” he writes. Haskell quotes from old letters and diaries about the great abundance of deer in the 16th and 17th centuries and mentions that Native Americans cleared and burned forests to provide food for plentiful deer. Merry Christmas and good reading! “Wee, wee, wee, wee, bzzz” sings my favorite yard bird. For two months most years — mid-May to mid-July — the male cerulean warbler sings his monotonous song from dawn until dusk. The first year this happened, back in 2002, I worried that he hadn’t found a mate. Why else would he sing on and on like some demented suitor? Then I did a little research and learned that on their breeding grounds territorial male cerulean warblers are “vigorous and persistent singers, usually singing from the highest available forage,” according to Jon Dunn and Kimball Garrett in Warblers. Other researchers reported that ceruleans often have favorite song perches in trees that leaf out late such as bitternut hickories, black walnuts and black locusts. They hypothesize that the leafless trees allow the birds to broadcast their songs with little “acoustic hindrance” until late in the breeding season. And, in the case of our yard trees — black locusts and black walnuts — when they do leaf out their foliage is relatively thin. Despite their glorious blue heads and backs, their white wing bars and bluish-black chest bands that stand out against their white throats, breasts, and bellies, male cerulean warblers can be difficult to spot high in the treetops. And I can’t ever remember seeing the greenish-blue females with pale yellow underparts, which is why I thought the singing cerulean was an unrequited lover. Yet, in my case, seeing was believing, because for years I didn’t think we had breeding cerulean warblers. In the 1970s and 80s cerulean breeding habitat was thought to be exclusively lowland open forests near streams or in old growth bottomland forests. Then one June day I saw a cerulean warbler in a tree beside the Far Field Road, and I wondered if they could be breeding on our dry mountaintop. Even since, I have found singing ceruleans somewhere on our mountain every spring and summer. So far, the earliest return date I have recorded for them is April 30 and the latest singing date July 21. They have sung above Greenbrier and Ten Springs trails in this century, a decade after a previous owner poorly logged that portion of the property. But he did leave bitternut hickories, a few large oaks, and several tulip trees, which may have lured ceruleans. Other ceruleans have sung at the upper edges of both the First and Far Fields, along the powerline right-of-way, in the Far Field thicket, beside the deer exclosure, in tall trees behind our old garden site, in the black cherry forest near the spruce grove, and along Laurel Ridge Trail — all dry ridgetop sites and all in edge habitat. I have not found them along our stream in our 100-year-old deciduous forest. Because they nest high in large trees such as oaks, they are difficult to observe. What researchers do know is that despite expanding their breeding range into the Northeast from the Mississippi Alluvial Valley and Cumberland Plateau of eastern Tennessee, eastern Kentucky, and southern West Virginia, they are one of the fastest declining songbirds (70% in 40 years) in North America. In the same year that Hamel’s account was published, ornithologists Kenneth V. Rosenberg, Sara E. Barker, and Ronald W. Rohrbaugh of the Cornell Laboratory of Ornithology submitted An Atlas of Cerulean Warbler Populations: Final Report to USFWS: 1997-2000 Breeding Seasons [PDF]. Two hundred field persons, both volunteers and professionals, collected information on breeding ceruleans and the habitats and dominant tree species they preferred. They canoed navigable waterways, drove along rural roads, hiked portions of the Appalachian Trail, and drove and hiked through forests and isolated woodlots from Illinois to Missouri, New Jersey to New England, eastern Tennessee to Ontario, Canada. They located 7,669 cerulean warblers at 1,923 sites in 28 states and Ontario. Not surprisingly, almost all the ceruleans were singing males. They also searched 355 likely sites where they didn’t find any ceruleans. Some states had many more volunteers than others. Unfortunately, Kentucky, which is thought to be a major breeding site in its eastern section, had very few volunteers. But Tennessee, another important breeding area, reported the most ceruleans (1210), followed by West Virginia (1124), New York (1068), Illinois (1000), and Pennsylvania (548). I was particularly interested in the Pennsylvania findings. After all, Philadelphia-based bird artist, Alexander Wilson, first named and then painted the male cerulean warbler (Dendroica cerulea) after it was discovered in eastern Pennsylvania, and Titian Peale, another Philadelphia artist, painted the first female cerulean, which had been taken along the banks of the Schuylkill River in 1825. It turns out that eastern Pennsylvania is still a hotbed of ceruleans in the Delaware River Valley on both the Pennsylvania and New Jersey riverbanks with 90 birds. This was followed by the Jennings Environmental Center and Moraine State Park in western Pennsylvania (69), the Juniata River and vicinity (42) and Peter’s Mountain and State Game Lands #211 (29), both in central Pennsylvania. The habitats included dry slopes, riparian and lake margins. Despite the 90 in the Delaware River Valley and the 71 in central Pennsylvania, ceruleans have historically been most numerous in southwestern Pennsylvania. Intensive surveys in that area and adjacent West Virginia found 1,400 ceruleans in what the report called “the heart of the species’ range.” Almost as many ceruleans were found on dry slopes or ridgetop sites as in riparian or other bottomland habitats. I was especially intrigued by the Juniata River and vicinity number in Huntington and Blair counties, since our Little Juniata River that we cross at the bottom of our mountain whenever we go out is a tributary of the Juniata River and our home is in northern Blair County. I also noted that the favorite nesting trees in dry upland sites were white and red oaks, black cherry, and maples, all of which we have as 100-year-old or older trees on our property. In addition, ceruleans seem to prefer a tall, but broken tree canopy and large wooded tracts of at least 50 to 75 acres, but 1,300 acres is considered optimal. Still, while those ceruleans in the Southeast use large forest tracts, those in the Northeast often breed in much smaller forests. And in eastern Ontario maple forests of 25 acres are adequate. So cerulean warblers may be more adaptable than previously thought. On the other hand, their numbers keep falling at the rate of 4% a year. Habitat loss, both on their breeding and wintering grounds, seems to be the major reason for their steady decline. Here in North America on their breeding grounds in eastern Kentucky and southwestern Virginia, mountaintop removal to mine for coal is permanently destroying mountaintop forests where ceruleans breed. On their wintering grounds in the subtropical forests of the Andean valleys in Columbia, Venezuela, Ecuador, and Peru, shade coffee plantations that provide excellent habitat for ceruleans are being replaced by sun coffee farms which are more profitable. Deforestation in those countries is also due to cacao and tea plantations as well as to the illegal coca trade. Those same researchers managed to find and observe 201 cerulean nests in a second growth, 80 to 90-year-old deciduous forest of mostly sugar maple, bitternut hickory, and ash trees from 1996 to 2001. They discovered that cerulean nest-building, by the females, takes four to seven days, egg-laying seven days, and incubation 10 to 12 days. While the females do all the incubating and brooding, the males and females feed the three to four nestlings. Their major predator was the blue jay. Other studies mention cowbird parasitism as a threat, but in Ontario, despite high cowbird numbers, the researchers never observed ceruleans feeding cowbird nestlings or fledglings. The couple of nests that had cowbird eggs were abandoned by ceruleans. Cerulean nests are usually constructed of bark fiber, fine grass stems, weed stalks, and fine hairs. They decorate the outside of their nests with gray or white material, such as gray shreds of bark or spider webs. Cerulean females anchor their nests on horizontal deciduous tree limbs 30 feet or higher from the ground beneath clumps of leaves. Researchers both in Ontario and the Mississippi Alluvial Valley have banded ceruleans and have had banded birds return to the same breeding area at least two years in a row. That convinces me that the particularly vocal cerulean warbler who sang in our yard in 2002 and 2003 was the same bird.